Offering speed, convenience and reliability in a virtually maintenance-free and compact design, the imageCLASS D550 Black & White Laser Multifunction Copier is the perfect solution for any home or small office. 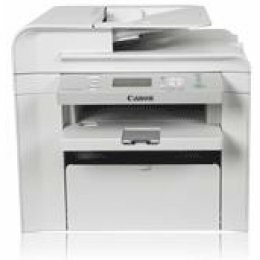 Enhancing home and small office operation, Canons imageCLASS D550 provides all-mode duplex capabilities for printing, copying and scanning. With this duplexing capability, customers will be able to significantly reduce paper consumption by duplex printing documents from a PC. The imageCLASS D550 boasts print and copy speeds of up to 26 pages-per-minute (ppm) for letter-sized output, and delivers Quick First Prints or copy pages in approximately 6 seconds. Load paper easily in the 250-sheet paper cassette and your black and white output comes out crisp and fast. Reduce and enlarge, collate or make draft copies from the easy to use control panel. The imageCLASS D550 also incorporates the Canon Single Cartridge System, which combines the toner and drum in one easy-to-replace unit, resulting in excellent image quality retention and eliminating the complication and warehousing of separate toner and drum consumables. The imageCLASS D550 is specifically designed for home/small office placement and provides convenient access to the office functions you require.